Your home’s foundation is arguably the single most important aspect of your entire property. It literally supports your home and keeps your family safe. While things may seem bad if you’re currently experiencing an issue, they’ll only get worse if you choose the wrong foundation repair company to “fix” your problems. On the other hand, a reliable company can make your problems go away forever. When you begin looking for a concrete slab repair contractor, you’ll realize that you have some choices. There are typically a number of competitors in the same geographical market and you’ll certainly be able to select the one you want to work with. Unfortunately, it’s not as simple as picking the contractor you like the most. While this is an aspect, your choice hinges on a lot more than a good smile and firm handshake. Let’s briefly review some of the top things you need to look for in a reliable foundation repair company so that you’re able to quickly identify the good from the bad. Experience. 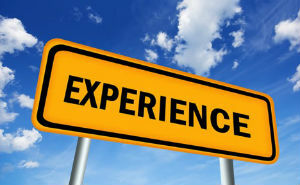 The first reason you want to pay attention to the number of years a company has been in business is pretty obvious: experience. As with any job, the longer you’ve been performing a task, the more skilled and knowledgeable you become in that niche. A contractor with 20 years of experience is naturally going to know more about the industry than someone with two years of experience. Reputation. The second reason to consider the number of years a contractor has been in business is their reputation. If a contractor has been serving your community for 20-plus years, it means nobody has run them out of town. Many communities are surprisingly close-knit when it comes to the businesses they work with and a contractor with a shoddy reputation will almost certainly be forced out long before they’re able to establish a successful career. It’s difficult to define the exact number of years to look for in a contractor, but ideally, you’ll want a company with at least 10 years or more. This shows you that they’ve been through multiple industry shifts and that their work has stood the test of time. Before getting too far along in the process, you’ll want to ask for the contractor’s references and insurance. Foundation repair is an intensive process that can cause significant damage to your home if the work isn’t properly performed. As such, you can’t afford to work with a contractor that doesn’t have the appropriate coverage. When asking for proof of insurance, make sure the certificate comes directly from the contractor’s insurance provider. If a policy is cancelled, it’s still rather simple for a contractor to make a copy of one of the old pages and show it to a prospective client. Read through the certificate carefully and make sure you’ll be covered in case something happens. For more information on this issue, check out this article. 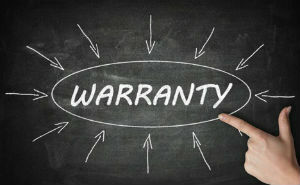 A warranty can tell you a lot about a contractor, but remember that these promises are only good if the company actually stands behind them. Some contractors will throw in small loopholes and caveats that make it nearly impossible to get them to come back out and fix the problem. Foundation repair companies don’t like sending a crew back to a site when they aren’t getting paid for the job. Ask the contractor if they’ve ever had to follow through on a warranty. The answer to this question will tell you a number of things. First, no history of going back and fixing warranty issues could tell you that they don’t keep their word. Second, a long list of warranty issues tells you that they don’t do the work right the first time around. Ideally, you want a company that can point out a couple of instances over many years. This shows you that they follow through on their warranties, but that it’s a very minor part of their business. You have to be cautious when asking a contractor for a list of referrals and testimonials. Even the worst contractor can put together a strong handpicked list of referrals without much trouble. The best referral is a personal one, and it’s important to follow up on any referrals a contractor presents to you. In addition to the referrals the contractor provides, do some internet research and look for online ratings and reviews. If frustrated customers exist, it’s likely that they’ll head straight to their keyboards to vent. Just remember to take every customer review with a grain of salt. Even the best contractor is bound to make an enemy at some point. Look at the nature of each complaint and the entire scope before letting a bad review distort your decision. While you may not understand the intricate details of how concrete slab repair work is performed, it’s imperative that you ask questions and understand how the job will be completed, when it will be completed, and how much it will cost you. You want to avoid comparison shopping when selecting a contractor – as price is often the best indicator of quality in this industry – but you also don’t want any surprises at the end of the project. By getting an estimate in writing, you can increase the chances of the project coming within budget. At Edens Structural Solutions, we’re the premier provider of foundation repair services in Tulsa, Oklahoma, and the surrounding areas. Not only do we offer quality work, but we also stand behind it. Our foundation repair work is backed by an industry leading, 100 percent transferrable 20-year warranty. We have an A+ rating by the BBB and have been in business for more than three decades. For additional information – or to schedule a free consultation – please contact us today! Foundation Repair or Home Remodel First?